About a few months ago women organizations celebrated victory following conviction of the miniskirt touts who were sentenced to 12months imprisonment for stripping naked a 28 year old woman at Fourth Street (now Simon Muzenda Street) in the capital in December last year. Blessing Chinodakufa and Marvelous Kandemiri, are serving an effective eight-month jail terms each after trial magistrate Renikah Dzikiti suspended four months of their sentences on condition of good behaviour. Women organizations echoed the same sentiments saying they were happy that justice had been served to the perpetrators adding that it will send a clear message to others who would want to commit a similar offence. “Given the magnitude of the offence we would like to see a stiffer penalty in the future, as well as the arrest and conviction of other hooligans who were involved in this case”, reads the statement. In terms of section 52 of the constitution of Zimbabwe on the right to personal security, it clearly states that every person has the right to bodily and psychological integrity, which include the right- (a) to freedom from all forms of violence from public or private sources. Women organasitions commended the government for setting up the inter-ministerial committee on gender based violence (GBV), the anti domestic violence council, adoption of the national GBV strategy, Zimbabwe Republic Police Victim Friendly Unit and other bodies to curb GBV. In addition, women groups highlighted that more was still to be done in ensuring justice in courts for women and girls. “Violence against women is on the increase and we are calling government to scale up efforts so that we see more convictions such as this one. We also want to see more public condemnations of this type of lawless behavior, particularly at the highest level”, reads part of the statement. 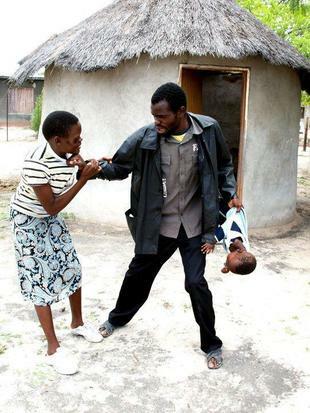 According to statics released in 2012 by Gender Links, GBV against women is standing at sixty-eighty percent. Executive director of the Zimbabwe Women’s Resource Centre & Network (ZWRCN) Pamela Mhlanga elaborated further saying a lot of GBV cases were being swept under the carpet unreported but however following trends from 2010 to date many cases had been recorded. “A lot of the GBV cases are not being reported, some of the reason include proximity to the nearest police and also cultural beliefs were the women still believe that being beaten by their husbands is a way of showing love. Government needs to channel more resources towards the national gender strategic plan which was adopted in 2010 and ending this year”, Pamela Mhlanga said. ZWRCN executive director said the introduction of stiffer penalties was not actually enforced to end cases of GBV but were applied to act as a deterrent to would be offenders. Grace Chirenje, Founder and Director of Zimbabwe Young Women’s Network for Peace building (ZYWNP) consented on the fact that GBV cases were rising and proposed for dialogue and behavioural change as a problem solver between families. The Zimbabwean government was urged to increase awareness of GBV in line with ZimAsset by putting money towards the 1 958 wards in the country and setting aside funds for trauma counseling of affected victims. Deputy Minister of Gender and Women Affairs, Abigail Damasane could not be reached for comment due to her busy schedule, making her only available the following week. Sally Dura, National Coordinator at Women’s Coalition of Zimbabwe encouraged the government to use its mandate as chair of SADC and the African Union (AU) to play a crucial in the reduction of GBV. Zimbabwe is a patriarchal society where men are granted the majority of social and political powers. A lot of GBV cases are being committed in churches through religious beliefs where some churches generally disregards women in positions while in some cultures the boy child is valued more compared to the girl child and first preference is always given to the boy child when it comes to things like education. In 2008, United Nations Secretary-General Ban Ki-moon launched the Unite to End Violence against Women campaign which is a multi-year effort aimed at preventing and eliminating violence against women and girls around the world. Zimbabwe joined other nations in commemorating the orange day an initiative by the UN Secretary-General’s Unite, managed by UN Women, celebrated every 25th of the month as a day to take action, raise awareness and prevent GBV.